Why should I be interested in getting featured on BlytheLife.com? 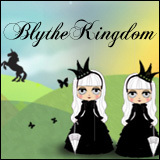 BlytheLife.com is a dedicated source for all things Blythe. 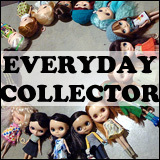 When you’re featured on BlytheLife.com, your Blythe/doll online store, blog, forum or site gets more exposure to your target group of potential new customers and visitors, just by being featured. BlytheLife.com receives 450,000+ hits per month (as of July 2015). BlytheLife.com’s followers on Twitter and Facebook are notified whenthere’s a new post being published. Okay, that sounds great! But what do I have to do? Being featured is a lot more than having a little blurb written up about you and/or your services/products. You can be featured in an interview or as a review. If you have any other suggestions on how to be featured, feel free to tell us at BlytheLife.com via the contact form. Interviews, eh? What do I need to do for that? For interviews, you will be asked a series of questions for the blog entry featuring you. Interviews are typically 8-12 questions in length. You will be asked questions about the products/services you offer and a little about yourself as well. You should be prepared to provide photos for the blog entry (they will be saved and uploaded onto the BlytheLife.com servers or linked from Flickr, if you give me permission). 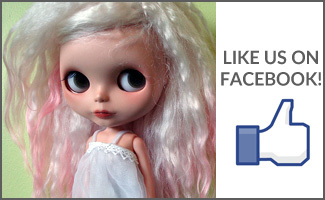 If you are using photos that others have taken of their dolls wearing your products or dolls customized by you, please seek permission prior to using their photos (also, please include names and links for all photographers so they may be individually credited). To add to the interview (for shop owners), it would be awesome (but not required) if you were willing to participate in a giveaway via this site. The giveaway will be run by Michelle and the winner(s)’ email will be sent to you so you can organize the shipment of the giveaway prize (if you choose to do a giveaway, as the featured shop owner, you will be responsible for providing the prize and shipping it to the winner(s) of the contest). Winner(s) will be chosen by random selection unless otherwise discussed prior to the giveaway being started. What if I wanted to get my product(s) reviewed instead? For reviews, you will be required to provide the product that is being reviewed and sending it to Michelle. Your blog/site will be linked in the article and you can provide photos for the blog entry if you wish. The bulk of the blog entry will be provided by BlytheLife.com and the reviewed product will be kept at the end of the review (any time the product is featured in a photo, a link back to the review blog post will be included). If you send two or more similar products, only one will be reviewed (the others will be photographed, but not removed from packaging). The reviewed item will be kept and the other item(s) will be used for a giveaway in connection with the review entry about your product. Please inform Michelle in advanced if you would like to specify which item(s) are to be used in the giveaway. If you choose to send the giveaway items to Michelle along with the item to be reviewed, Michelle will be responsible for sending out the giveaway prices to the winner(s). I’m ready to be featured!